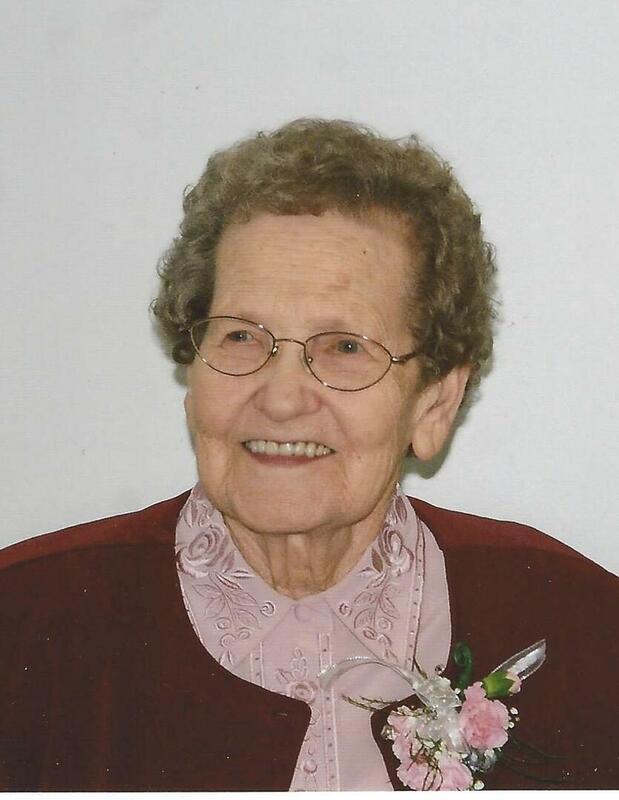 Jean passed away peacefully on December 17, 2017 at the age of 92 with Randal, her husband of 71 years, by her side. She is lovingly remembered by her husband and seven children: Arlene Wheatfield (Warren); Sharon Steinke (Greg); Glen McFarlane (Lori); Ian McFarlane (Leslie); Janice Chepelsky (Greg); Doreen Keen (Brian); Kathy Stewart (Scott – predeceased); and infant daughter (predeceased). Jean was also blessed with nine wonderful grandchildren and nine great grandchildren. Predeceased by her parents, John and Anne Watters, and by siblings Elsie Knight, Myrtle McKenzie, Florence Draper, Fred Watters, Les Watters, Bob Watters and Helen Connell, Jean is survived by her sister Beatrice McFarlane. The family of the late Mrs. Jean McFarlane will receive friends at the McDonald Funeral Home, Englehart on Thursday December 21, from 6:00 to 8:00 p.m. A Funeral service will be held at Emmanuel United Church, Englehart, on Friday December 22, 2017 at 10:00am. If desired, donations may be made to Emmanuel United Church, Englehart; Nortrhern Beacon Rebekah Lodge, Englehart or the charity of your choice. Condolences, contributions and memorial candles may be left at www.mcdonaldfuneralhome.ca. To send flowers to the family of Jean McFarlane, please visit our Heartfelt Sympathies Store.